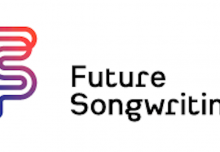 Musical Futures is excited to announce that we are now providing *NEW* Premium Resources alongside our existing resources and training offer. These Premium Resources are made up of brand new teacher guides, activities and ideas to get students playing straight away, along with jams, medleys songwriting ideas, and video playalongs. You can purchase these resources to download and use immediately, with prices starting from £14.99. Our previous open source resources are still free and accessible, you just need to sign up to our website for FREE to access these. We are continuing to run a UK training schedule across next term as well, prices starting at £75+VAT. All Premium Resources used at these training events will be provided free of charge. 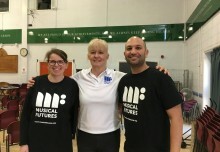 Musical Futures is an approach to music teaching and learning that is underpinned by pedagogies developed from informal learning and non-formal teaching approaches to classroom music. All Musical Futures resources are created with this pedagogy in mind, and as many of the key principles of Musical Futures are pulled into these as possible. Please note that the resources are meant as a start point, Musical Futures approaches can be lifted and applied to any content as well as adapted to suit the needs of individual teachers, schools and students.